The mass of ancient sandstone known as Table Mountain is some 45 kilometres in circumference, but many rock climbers think only of the ‘Front’ and, more specifically, Africa and Fountain Ledges below the Upper Cable Station. Although the modern Hardest Climbs are there, this was not the case until the 1930s. When someone hears I’m a climber, more often than asking about my best climb, they want to know, ‘What’s the hardest climb you’ve done?’ Really? Well, here is the Table Mountain ‘Hardest’ list, and I had managed to climb all the routes on TM by 1976, plus, thanks to Richard Behne being prepared to give me tight rope when I needed it, I had also seconded Farewell to Arms and Cool Cat (but not Tour de Force). The first proper rock routes opened on Table Mountain were climbed by Morgenrood and Bishop in 1892, but they did not record them, so the climbs were wrongly credited to Jim Searle who made second ascents. Their three climbs were Kloof Corner (C), Silverstream Ravine (C) and Window Gorge (C+). So, the hardest climb in 1892 was Window Gorge. The next hardest route award goes to Jim Searle who opened the first F route, Fir Tree Watercourse, in 1895. The climb is graded F in retro-modern grading but F was not used until well after the Second World War. Searle was an adventurous climber who re-discovered Joshua Penny’s cave after nearly 100 years, but he didn’t explain its location, so it became lost again until 1958! Therefore, the way to Penny’s cave got the Booby Prize Hardest Route! George Travers-Jackson was an amazing climber who did some of his difficult climbs solo, and his hardest ascent was Fernwood Gully (G) in 1906. 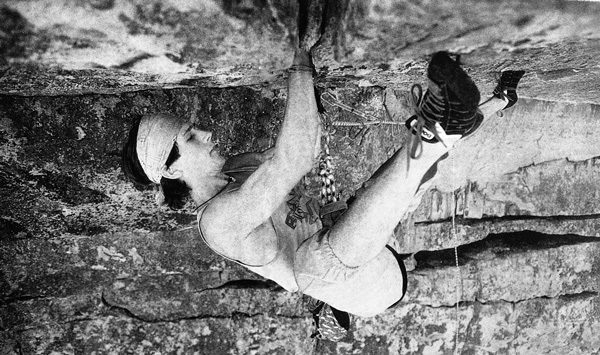 The climb held an unusual title, as no one actually led the top crux on sight and without a rope hanging from the top until 1974 when I led it with Gabriel Athiros. 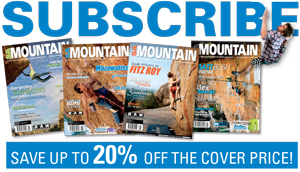 The account of Jackson’s climb in the MCSA Journal and Table Mountain Classics is a gripping read. There were no anchor points, so Hofner had to belay Jackson on the crux by lying on a ledge with the rope wrapped around himself, while Jackson’s arms cramped from hanging on the rope, but he saved himself by gripping the rope with his teeth while massaging his arms back to life! Epic stuff!